Sellier & Bellot is one of the oldest engineering companies in the Czech Republic. Also, one of the oldest companies in the world, Sellier & Bellot has been manufacturing trademarked ammunition uninterrupted since 1825. 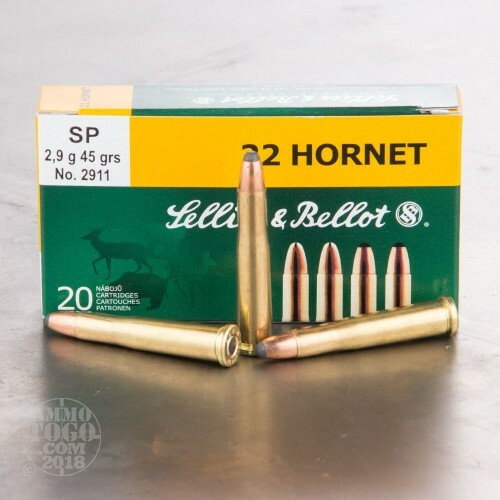 Highly acclaimed for consistency and quality, all Sellier & Bellot ammunition is held to exacting tolerances in diameter and weight for reliable performance shot after shot. 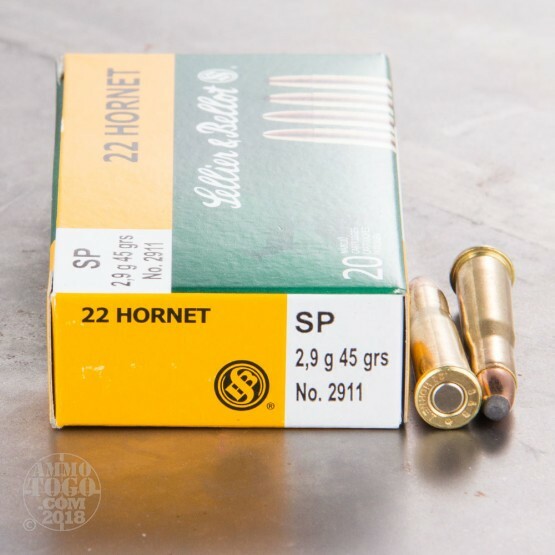 Each factory fresh cartridge is loaded with a 45 grain soft point projectile. These soft points deliver suitable terminal mushrooming for hunting small game and varmints. Accurate out to 200 yards, this ammo helps extend your effective hunting range. 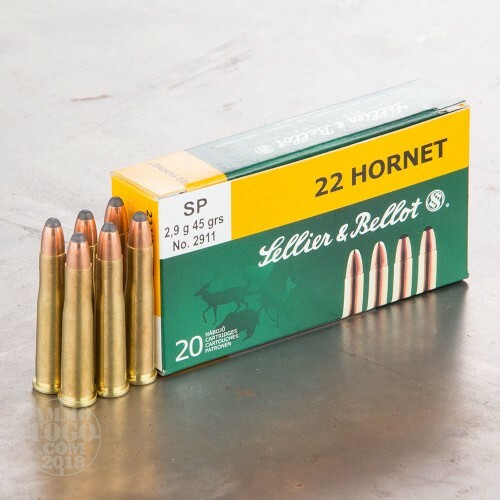 Packed in 20-round boxes, this ammunition features quality boxer primers and reloadable brass cases. Each round produces a muzzle velocity of 2346 feet per second and a muzzle energy of 550 foot pounds. Perfect for long-term storage, this .22 Hornet ammunition is 100 percent non-corrosive and packed in oil resistant boxes for extended storage life.